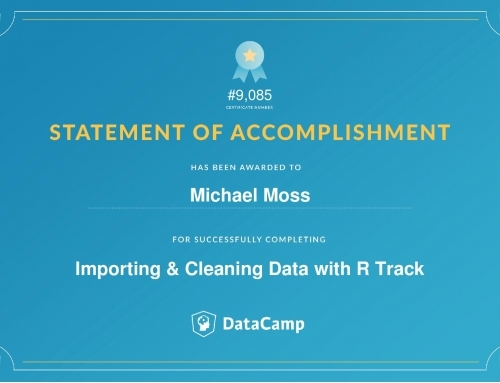 It’s commonly said that data scientists spend 80% of their time cleaning and manipulating data and only 20% of their time actually analyzing it. 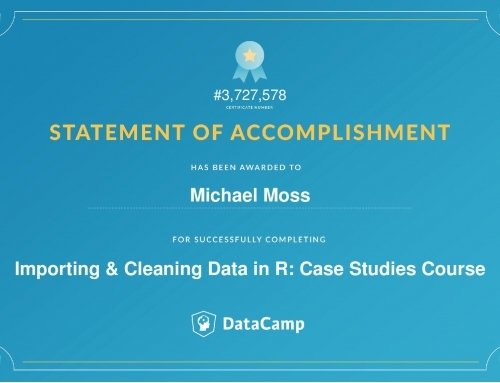 For this reason, it is critical to become familiar with the data cleaning process and all of the tools available along the way. 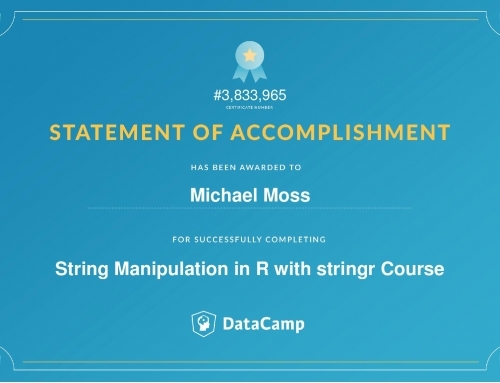 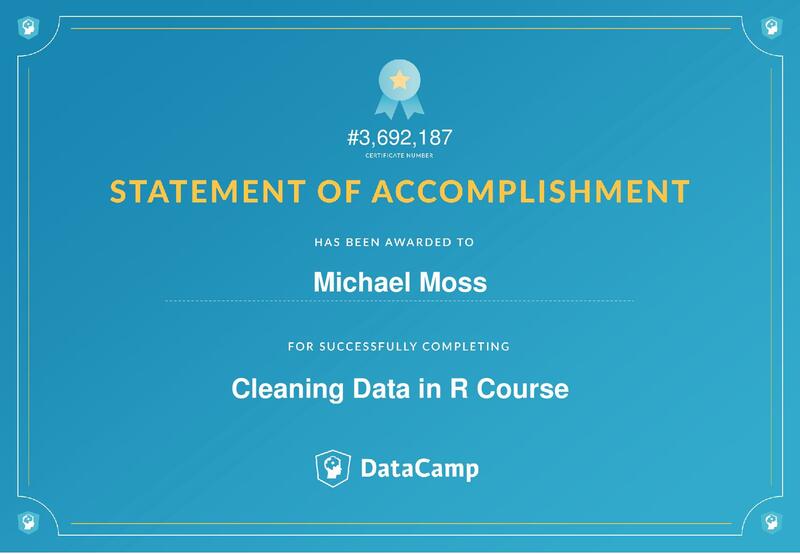 This course provides a very basic introduction to cleaning data in R using the tidyr, dplyr, and stringr packages. 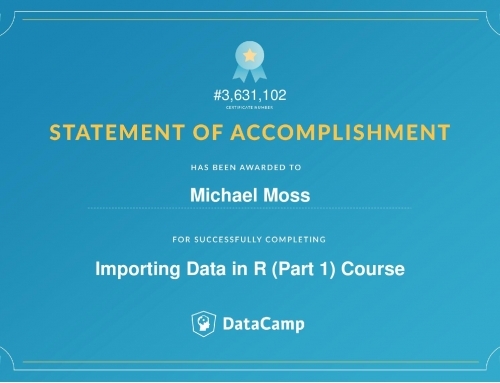 After taking the course the student will be able to go from raw data to awesome insights as quickly and painlessly as possible!